Here's my wantlist + tradelist, don't bother to ask for anything from the tradelist if you don't have anything from the wantlist below. Last edited by iormungand on Sat Jan 10, 2015 12:46 pm, edited 12 times in total. I'm pretty sure you won't find any copies on a mailorder as it was limeted to 500, and it's already out for two years. PM me if you want to part with these. Only looking for the XASTHUR Gate through bloodstained mirrors DCD now. From dead temples lp + 7"
Less than two days to go for some. Less than 24 hours to go on the ABSU, INQUISITION, NEFANDUS, ARCHGOAT & ALTAR OF PERVERSION. 3 hours to go, last chance. 18 hours left for the celestia, kampfar, and altar of perversion/goatfire vinyls. 3 hours left for the celestia, kampfar, and altar of perversion/goatfire vinyls. Only thing I'm missing from GBK. My tradelist, bit hard to read maybe. Some of them won't go for the gbk ep only. GBK ep found, the thread can disappear. 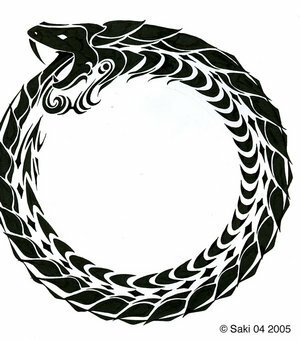 I'm looking for a quality representation (in huge size possibly, I mean not A4 size) of the Ouroborus. I don't mean a .jpg file, I mean a quality poster, canvas, something real, not virtual. Any valuable info is welcome. You know there are places that can do that for you. In the USA we have a place called Ahh's(or aah's) that will turn any picture into a large poster. Well I don't mean this one especially, I think there are some much better Ouroborus representations that this one I used for demonstrating only. But I'll check that link for sure, thanks. Not interested in the regular LP only version. Will trade for it, check my distro list. Looking for these 3 albums, only in digipack version. Still searching for the other two. Updated on our shop are more than a hundred rarities on vinyl. Last edited by iormungand on Thu Apr 05, 2012 3:28 pm, edited 1 time in total. Europeans preferred to save on shipping but multi discs trade is wanted above all. So anywhere, basically.